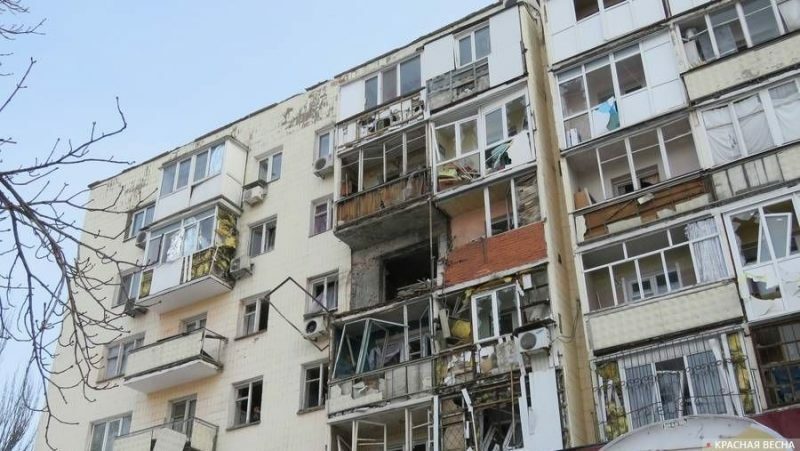 The Joint Center for Control and Coordination (JCCC) recorded shelling of the village of Dolomitnoye on the outskirts of the city of Gorlovka on March 26th, Donetsk News Agency informs. The shelling was recorded at 1:35 PM from the side of the Ukrainian armed forces in the direction of the village of Dolomitnoye. The shelling came from heavy mortars. The DPR’s representatives also reported sniper activity and a large-caliber machine gun used in the village. Meanwhile, no data on injured people or damages were provided. Earlier, on March 26, reports came of an artillery strike made in the morning on the village of Yelenovka near the city of Donetsk. For the first time in several months, a 152mm mortar was used. This entry was posted in News from Ukraine and tagged Classical War, donbass, DPR, JCCC, Shelling, Ukraine, Violation of Ceasefire. Bookmark the permalink.